Hi crafty babes! Are your kiddos back at school yet? Mine are – and I got to spend some time off work to get them prepared and off so I got some killer photos! We now have a 2nd grader and a Freshman! 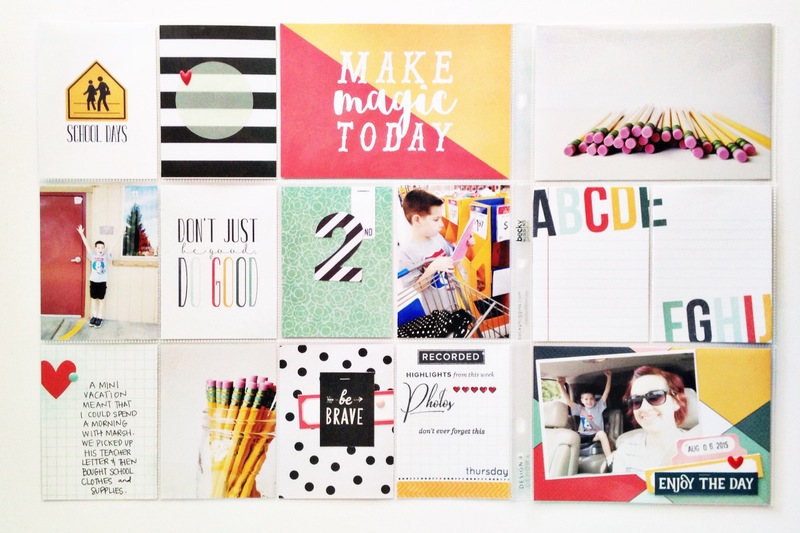 Over at the Gossamer Blue blog, I am sharing a back-to-school spread! As a little bonus, I filmed a process video too! And since it’s also the 1st of the month it means that September kits are AVAILABLE to purchase! Check out the kits and add-ons – they are so gorgeous and fun! 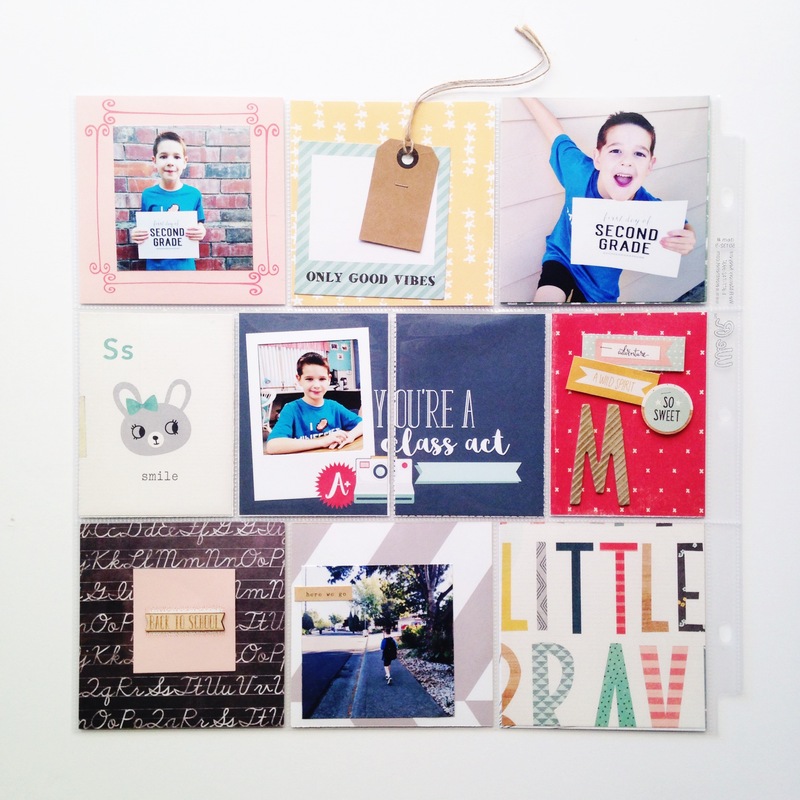 Even though I am only sharing this first layout at Gossamer Blue – I am sharing all of my back-to-school layouts for you here! 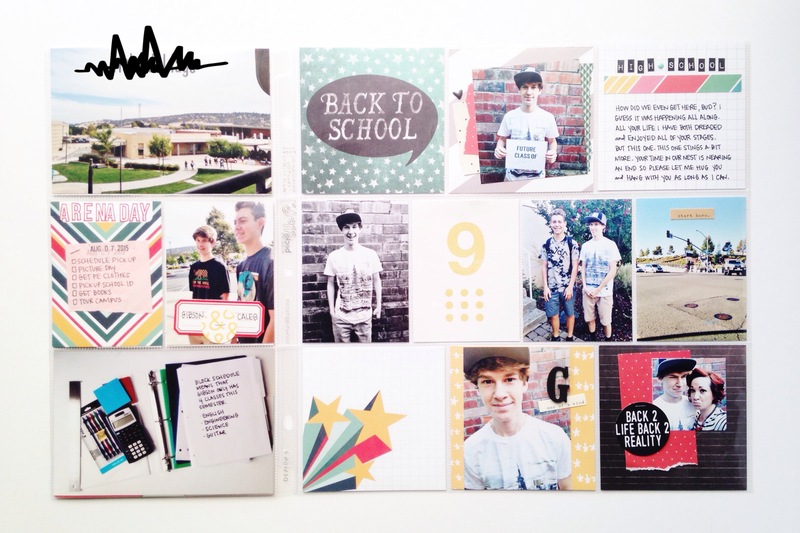 Here is the first full layout that is bright and full of all the back to school feelings. If you’re into watching process videos – check out mine here. The next two pages use so much of the kits I got this month. I hope you’ve enjoyed my little share and that it’s inspired you to document and use your kits and supplies to the fullest!